With time now one of the most precious resources that we have, Nashco provides the one-stop solution for all of your needs. You can get everything you require in one delivery! The third major product group, our Junction stud and Tophat range provides a number of solutions for Roofing and External Facade. Junction Studs can be used to create a suitable framing surface for Alucobond composite panel systems, or fibre cement Facades. Our range of Tophats provide a complete solution for roofing and flooring battening needs. All made from premium galvanised steel, our stopping angles offer a superior finish to your internal plaster surfaces. PVC Stopping beads can be used for both Internal and External Applications. The Render range is UV Stable providing a consistent product suitable for external use in the harsh Australian climate. The Ezy-finishing sections provide a solution for a square set appearance for door jambs, windows and pelmets. Nashco is a stockist of the BGC range of Fibre Cement. This range provides a range of solutions for External Facade, Internal Lining and Flooring Applications. 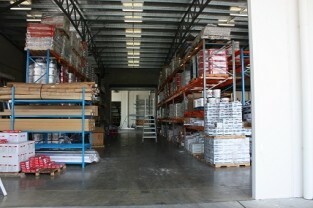 Our showroom contains a wide range of tools and accessories. From plastering tools to site supplies, come in and browse our range of tools designed to make your job easier.